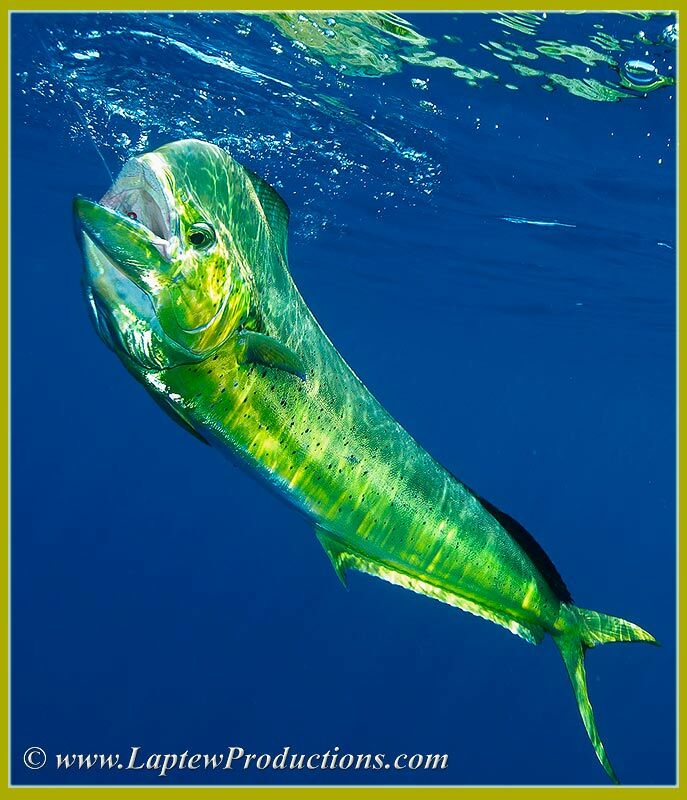 Call them mahi-mahi, dolphinfish, dolphin, dorado, bulls, chickens, or peanuts, but tie into them on light tackle and you’ll call them one amazing gamefish. 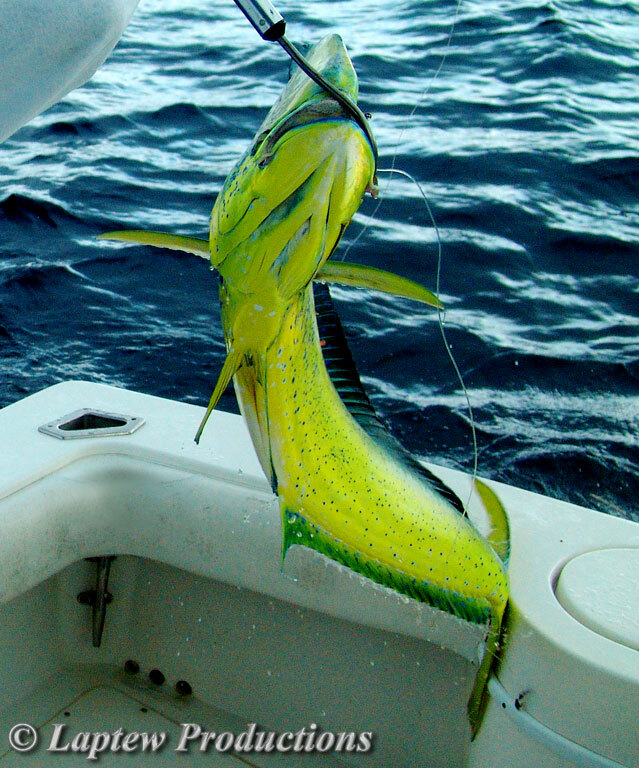 Mahi are among the fastest growing fish in the sea with a short lifespan of only four or five years. 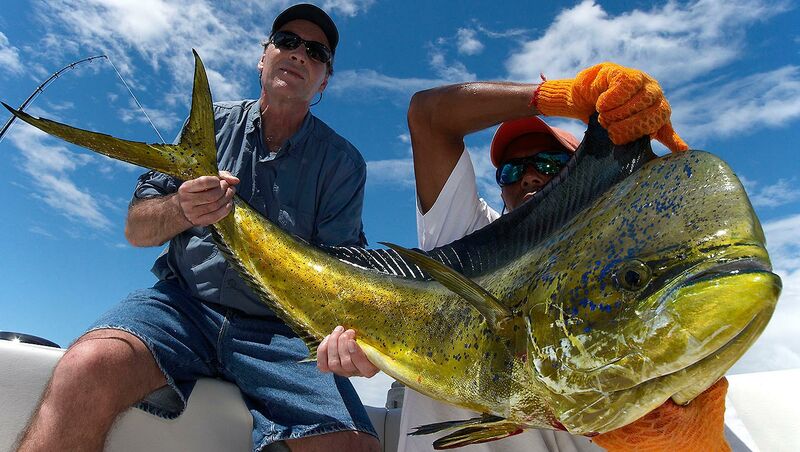 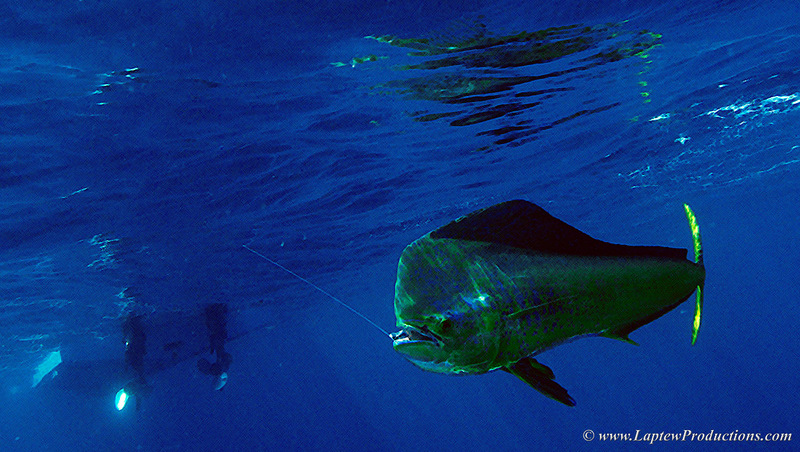 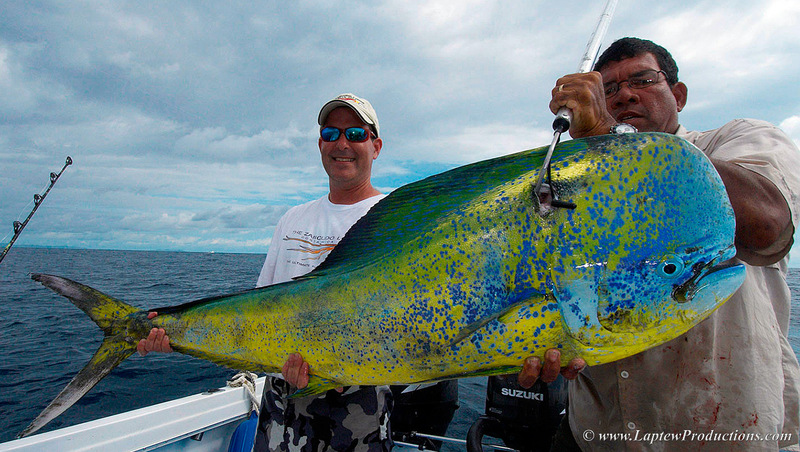 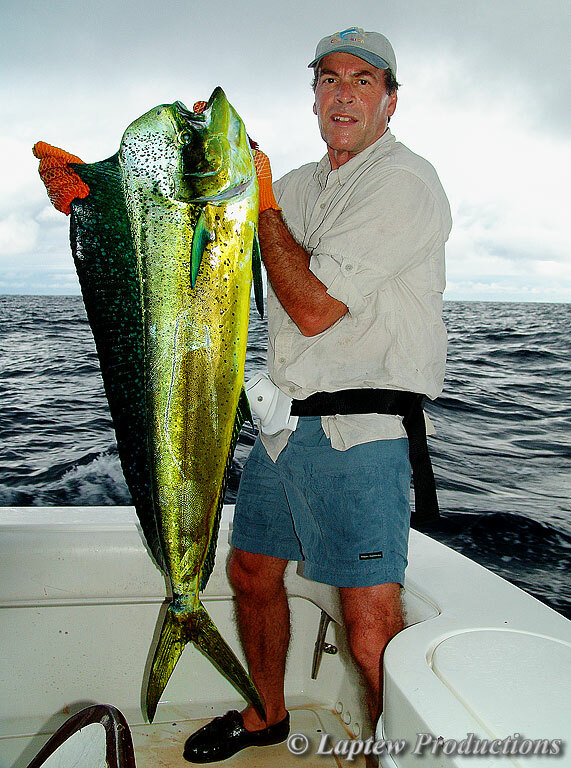 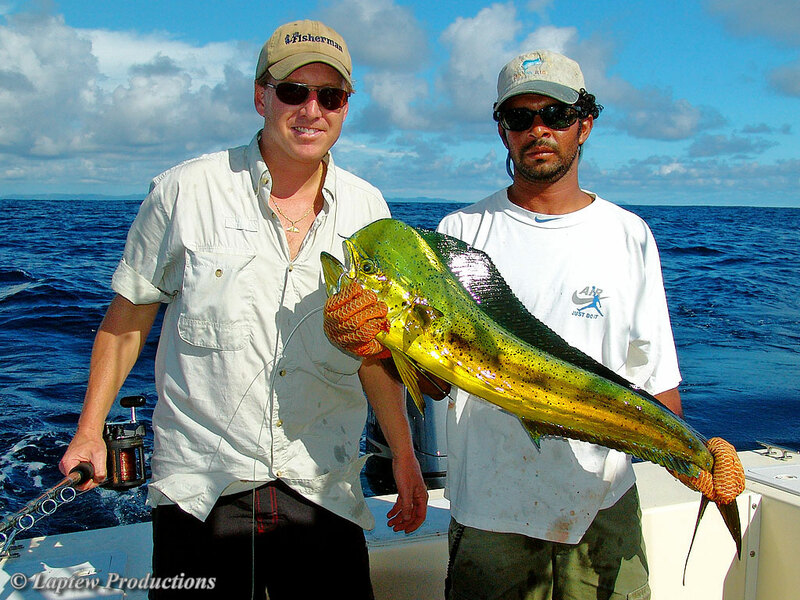 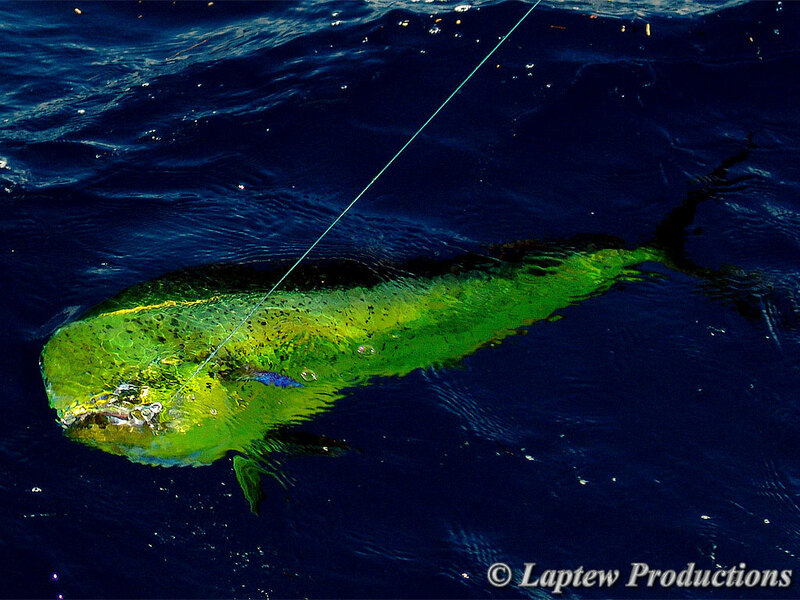 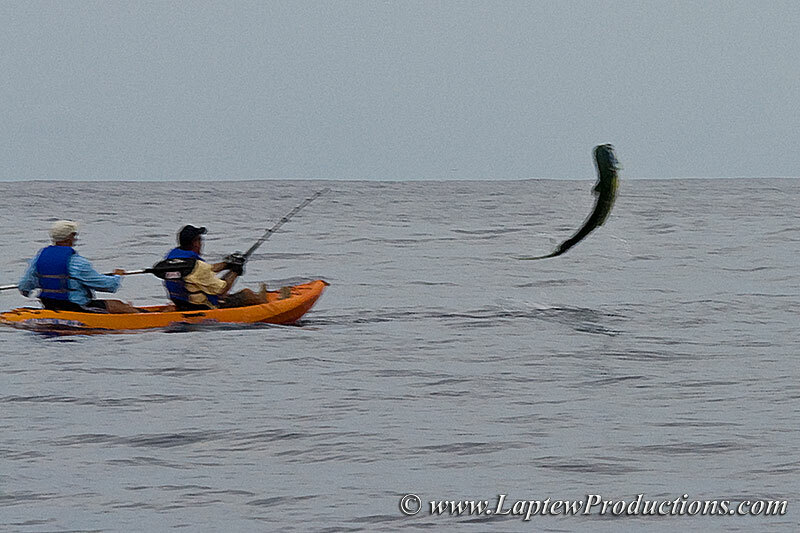 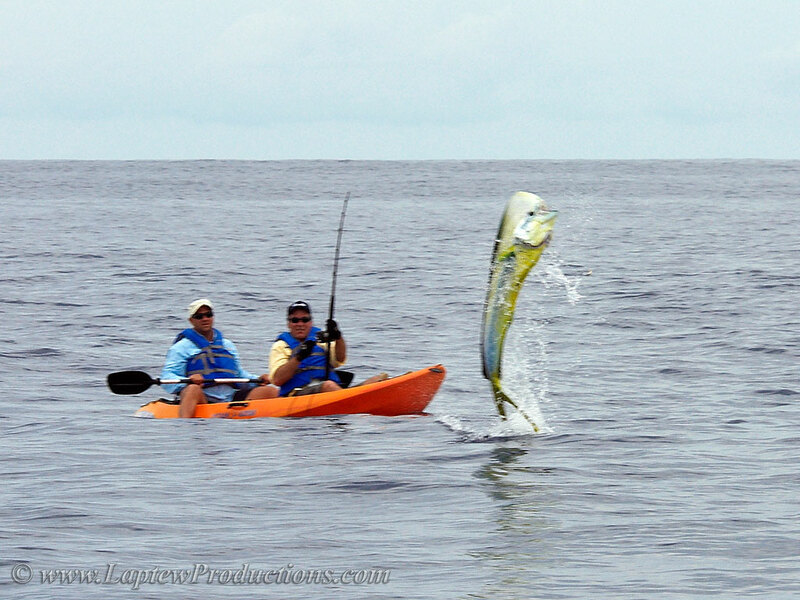 Most people know them as mahi mahi and respect them as one of the finest eating fish in the sea; anglers know and respect them as one of the most spectacular fighting fish anywhere. 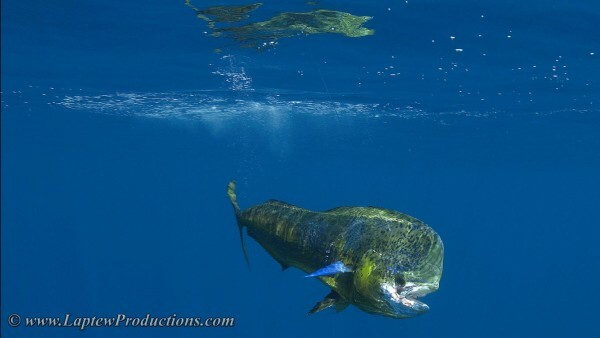 A big bull dolphin will burn drag, introduce you to your backing, leap out of the water while violently shaking its whole body, greyhound through the waves, make run after run, dive for the depths, jump to the heavens and sometimes do all of the above in less than a minute. 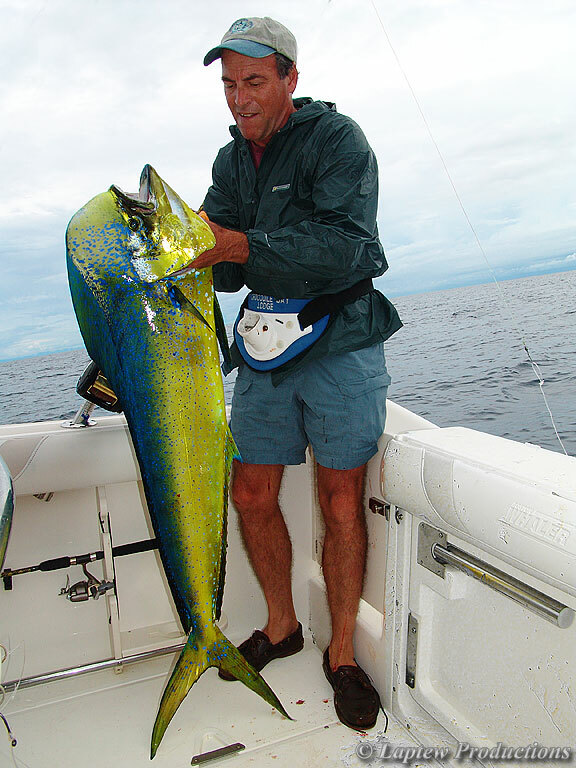 They don’t match the strength of a tuna, wahoo, amberjack, Cubera, roosterfish or other highly sought after gamefish, however they are sensational on light tackle. 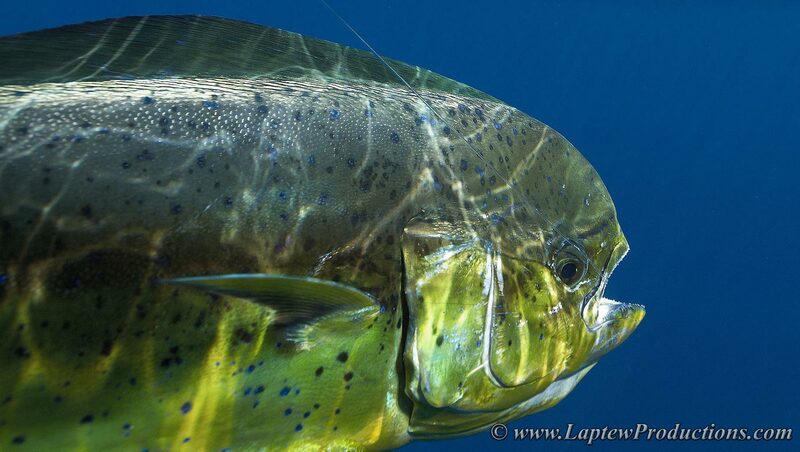 Did I mention stunning, dazzling, beautiful, gorgeous, and radiant? 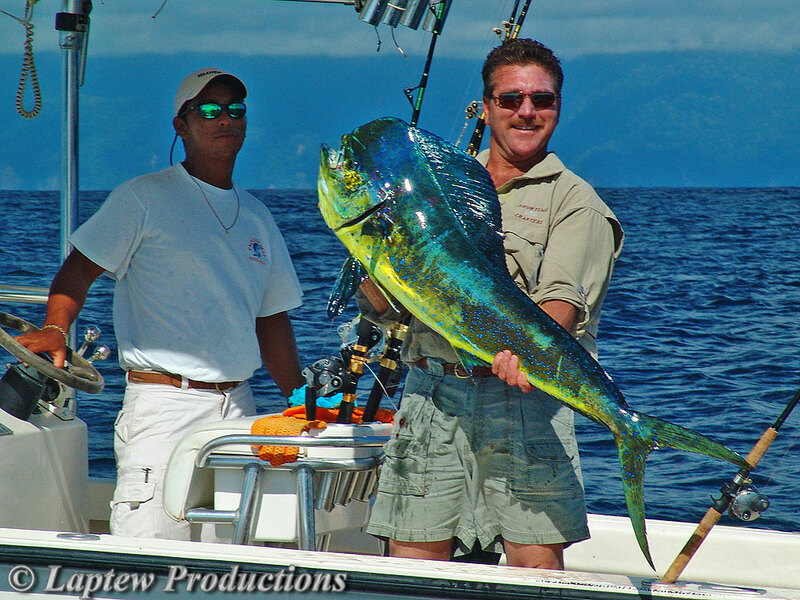 These slides are a tribute to a wonderful sport fish that I enjoy catching, filming and eating. 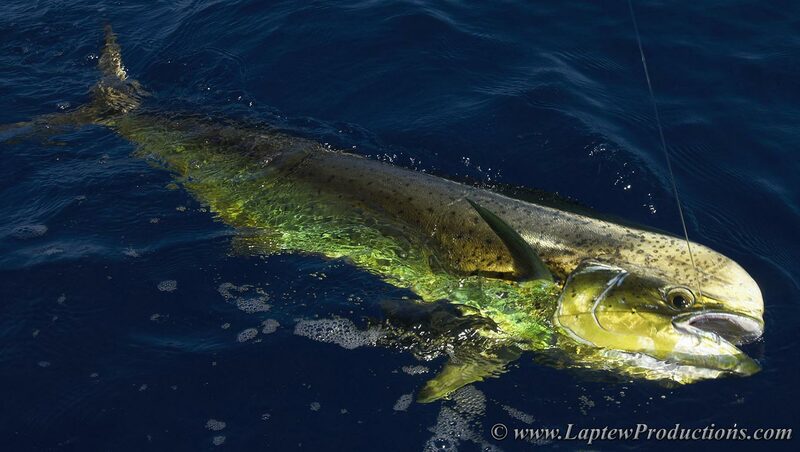 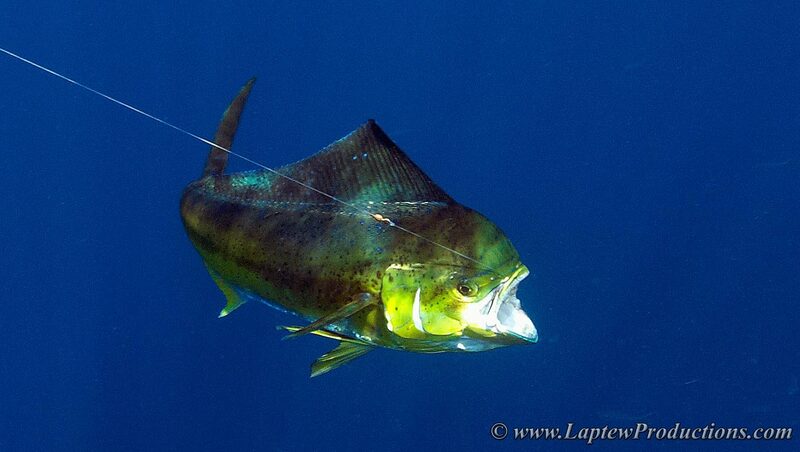 These photos were taken over the past 12 years and they feature dorado caught off the coast of Costa Rica. 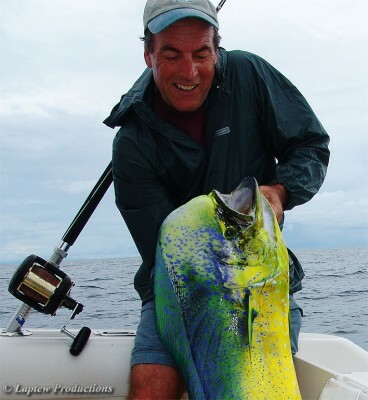 Click on any thumbnail to enlarge, once opened you can navigate all the images by clicking on the image or using your right and left arrow keys.